I wrote this letter nearly a year ago, in the hope that Edward Snowden — unlikely to talk to a minor journo like me – would answer some questions to help me make my portrait of him as accurate as possible, (if not as three-dimensional as Laura Poitras’ Oscar-winning one, or Oliver Stone’s will be). Posted now as part of that effort, and in the hope you might know some of the answers too. I can only write this as a letter to you — as a writer to whom your story is important, both for what it’s done for our democracy AND as part of the story in a book I’ve been working on for far too long. At the bottom of this memo are some questions based on what I’ve already gleaned; if you could say anything in response to them, I’d be even more in your debt than I already am as a U.S. citizen. About the book, and why I think you belong in it: I first signed a contract (with University of California Press) in 2007 for the book, entitled I Ain’t Marching Anymore. It’s a history of soldiers who dissent, whose honor roll starts with the War of 1812 and includes Dan Ellsberg, Chrlsea Manning, Bobby Seale and Bayard Rustin. 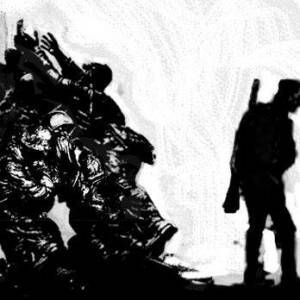 I’ve long been intrigued by people who at one point or another in their lives was part of the U.S. military and went on to make real social change; that fascination started when I was a counselor on the G.I. Rights Hotline, where my job was to answer questions from young men and women who’d signed up to be part of something bigger by enlisting in the miitary. By the time they talked to me they usuallly wanted out, for reasons ranging from conscience to medical issues to abuse, and taught me there wasn’t that much difference between me (an idealist writer-activist) and these folks who were equally earnest and needed help. The book has required hundreds of interviews, document research, and reporting on the post-9/11 scene. When you first met with Laura Poitras and the others, I was trekking back ans forth to Fort Meade, MD, as trial proceedings began in the trial of Chelsea (nee Bradley) Manning. So many of these servicemembers and vets have often used language similar to yours in interviews, insisting that the country they signed up to serve live up to the values they learned doing so. I know you don’t identify as a soldier, but I do think you’d find some common ground with the Iraq/Afghan vets I’ve been talking to for years — like those in this Al-Jazeera America op-ed http://america.aljazeera.com/opinis/2014/11/iraq–veterans–againstwarisis.html. I know an interview is near-impossible, but it felt irresponsible for me not to TRY to touch base with you before I finished writing narrative that includes you. In addition to those provided, you can see other clips on my portfolio site at http://chrislombardi.me; I can also give you references from Samuel Freedman at the Columbia Graduate School of Journalism (in whose Book Seminar the book was conceived) to editors at The Nation and my agent Sam Stoloff of Frances Goldin Literary Agency. Thank you so much for reading this far. And for responding to the questions below, in as much detail or not as you care to. If you wanted to just talk your answers instead of writing them and could somehow get Ben or Jessamyn to send me the audio file, I swear I’d guard it with my life. I could also find a land line for you or someone (Ben?) to call into, if writing your responses just feels like too much work. These questions are roughly in chronological order. I look forward to including Ed the soldier in my book to the fullest extent possible. Your dad was a Coast Guard warrant officer; what was that like, growing up in a Coastie house? (My partner’s dad was also a CG warrant officer, much earlier). Did he ever talk about it as a career path for you? As your career has taken this maverick path, did he ever refer to his military background? How about when you were considering enlisting in 2004, or when you were in HI contemplating your most recent actions? Where exactly did you enlist? What were your ASVAB scores? How did they pitch Special Forces to you? You were 20, and had been deeply impacted by the 9/11 attacks. You have said that “I still very strongly believed that the government wouldn’t lie to us, that our government had noble intent, and that the war in Iraq was going to be what they said it was, which was a limited, targeted effort to free the oppressed. I wanted to do my part.” Were you also deeply impressed with President Bush as commander-in-chief? Did the recruiters mention specifically becoming a “ Special Forces Communications Sergeant,” so you could use your technical skills? What are your initial memories of Fort Benning? How aware were you of areas outside your OSU – the reception battalion, the Warrior Transition Units, the School of the Americas? How big were your drill sergeants? Did you get to meet any serving SOF troops or Army Rangers? What were your impressions? Did you have any opportunities to excel? You’ve spoken of your disappointment w/yr fellow recruits: “Most of the people training us seemed pumped up about killing Arabs, not helping anyone,” you told Greenwald et al. Did you talk to anyone about your feelings – yr 1st Sgt or the chaplain? When did the recruits learn the word “hajji” as shorthand for the enemy? Did they use it in training exercises? Any particular chants stand out in your memory? Were you ever bullied – either by peers or superiors? Were subsets of your training company ever singled out? Was there any sexual abuse going on w/that particular class of recruits? Were your DIs or peers aware of your dissatisfaction with the racism you saw in some of training? Did you break your legs in AIT or airborne? Any details you felt OK to share could be important. What was your overall medical condition by this time, were you mostly fit? How long did the discharge process take? Was there talk of recycling or transferring anywhere? Did you stay in touch w/your family throughout training? How did they help you thtough? You told WIRED that your military experience helped you get the job as a security guard at the CIA, which then discovered your IT potential. Was the mention of Ft. Benning on your resume mentioned when they hired you, then? Were those hiring you veterans? At Langley, did you have access to SIPRNET and CIDNE? You were in Geneva when the Iraq war started; you’ve said that many CIA ops were opposed to it, not just you. Were any of them veterans, or have kids serving? When you went to Tokyo w/the CIA, where did you live? How aware were you of anti-U.S. sentiment on Okinawa and elsewhere? What was your early response to the Wikileaks disclosures, and to the arrest of Private Manning? You were in HI when Manning was held in isolation, forced to sleep naked, etc. Did any of his treatment bring on flashbacks to the worst aspects of BCT? When you were considering your own disclosures, how did his treatment influence your actions, if at all? Was Booz Allen Hamilton full of ex-military types? What was that like for you? Too many questions, I know, and some pushing the limits. Thank you for reading them and considering my request. Congratulations again on all the well-deserved accolades for your incredible public service. Wow, this is such an incredible and informative review. I enjoyed this so much thank you for writing it!